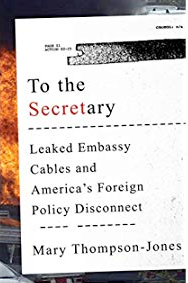 Mary Thompson-Jones, a retired senior Foreign Service Officer, has deftly turned the WikiLeaks of State Department cables into an opportunity to provide her readers with an in-depth, insider look at the vast geographic and functional work of the Department of State. Moving beyond the headlines in nine admirably succinct, informative, and entertaining chapters, Thompson-Jones covers an astounding array of material from the thousands of leaked cables written between 2006 and 2010. She describes policy, process, including the cable classification process itself, and life in the Foreign Service. A practitioner’s detail and good dose of humor make these nine chapters move quickly through the daily work of diplomats who report on the facts on the ground as they see them and who engage their foreign counterparts and publics in trying to influence those facts. Thompson-Jones also tells the story of the leak itself as seen from the inside of the State Department, whose ability to carry on its future work effectively had potentially been dealt a crippling blow. A leitmotif for Thompson-Jones is the frequent disconnect between Washington policy makers and the experienced, on-the-ground career diplomats working at U.S. missions around the world (the “Field”), and what she assesses as the consequences of that disconnect for good policy making. She also takes to task the Obama administration’s reaction to the leaks, which she believes denigrated the work of diplomacy and diplomats in the attempt to portray the damage from the cables as negligible. As the State Department’s new leadership contemplates its approach to diplomacy and diplomats, they would benefit from Thompson-Jones’ look at the repercussions of past administrations’ practices, including reductions in Foreign Service staffing and placing political appointees throughout the Department into jobs to which they bring little direct experience. 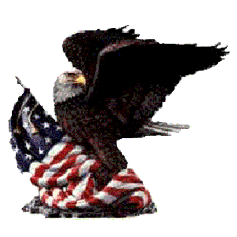 The author provides ample evidence of the dangers and missed opportunities for American interests caused by policymakers’ failure to understand the depths and nuances of anti-Americanism around the globe, for example. Neither does she spare officers whose “happy-talk” cables offer less than honest evaluations of the success/failure of programs initiated by many political appointees. The following chapters detail the work of the Embassies’ Political, Economic, Public Diplomacy, Security, and Consular sections through the prism of crises, travel, frenemies, animal welfare vs. economic interests, global corruption, and Iraq. Diplomats are seen caught in the dangers of war and working to provide relief efforts in natural disasters, such as in the riveting account of the 2010 earthquake in Haiti where the U.N lost 101 people and the USG eleven. The cables show intrepid officers—far removed from the cocktail parties that too often comprise Americans’ image of diplomatic life—traveling to the remotest corners of the earth to document endangered species, climate change, and their effect on local economics. From gorillas in Cameroon to illegal logging in Russia, the officers detail the competition between man, beast, and the environment exacerbated by increasing scarcity. To tell the story of the dismaying, insidious destruction of entire countries by corruption, Thompson-Jones focuses not only on the third world, but on post-Communist countries and on Italy, where organized crime is the largest sector of the economy. The cables document vote buying, food contamination, and other astounding examples of seemingly inescapable endemic corruption and also reveal American companies’ dilemmas and actions when competing in these environments. The author devotes her last chapter to the Obama Administration and tenure of Secretary of State Hillary Clinton, whose accomplishments get mixed reviews. Returning to her theme of the Washington-Field disconnect, Thompson-Jones faults Clinton, as she did Condoleezza Rice in her chapter on Iraq, for reliance on a small group of imported advisors, less knowledgeable than their seasoned career counterparts. She holds them accountable for in-the-bubble understanding and tone-deaf approaches that often led to policy initiative failures, even with programs that were a focus for Clinton, such as those to promote women world-wide. The author rightly emphasizes the importance in diplomacy of consultation, symbolism, and often simply “showing up.” She provides an apt analysis of the Obama Administration’s missteps vis-à-vis Central European allies regarding Missile Defense and the failure to send high-level representation to events of major importance to the region such as Poland’s 70th commemoration of the beginning of WWII. Similarly, she cites the large number of special envoys as harmful to the cohesion of policy making within the State Department. While Thompson-Jones judges Clinton as Secretary not to have achieved significant policy breakthroughs in long-standing and intractable problems, she credits her appropriately for her significant communication skills and her willingness to engage tirelessly with counterparts and publics around the globe. Clinton’s considerable achievement may well be the mending of many fences with allies following the Bush administration and the war in Iraq, and should not be underestimated. Clinton was master at forming relationships with her counterparts and projecting a positive image to publics around the globe. As Thompson-Jones herself pointed out, this relationship-building is crucial to making the United States a trusted partner and getting support for our objectives. A legacy requires time to assess, and Clinton as practitioner vs. theoretician will continue to be debated. Thompson-Jones mentions Clinton’s belief in and approach to what she termed “smart power,” the strategic use of and balance between hard and soft power. She saw the benefits and perhaps unavoidable intersection today of diplomacy, development and defense in policymaking, which culminated in the introduction in 2010 of the QDDR, the Quadrennial Diplomacy and Development Review, a new strategic planning document for the State Department. Thompson-Jones finishes by acknowledging the groundwork Clinton laid for her successor. Mary Thompson-Jones has written a superb book, instructional and absorbing. She illuminates a wealth of material, letting the cables be the voice of the Foreign Service. Her sweeping panorama of the varied and multiple aspects of diplomacy makes fascinating reading for both insiders and public at large. A book not to be missed for anyone interested in recent diplomatic history and the work of the U.S. Department of State. 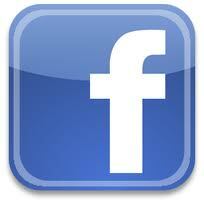 The views expressed herein are the author’s own and not necessarily those of the U.S. Government.